4 pole cable connector, chuck type strain relief, dark grey bushing. 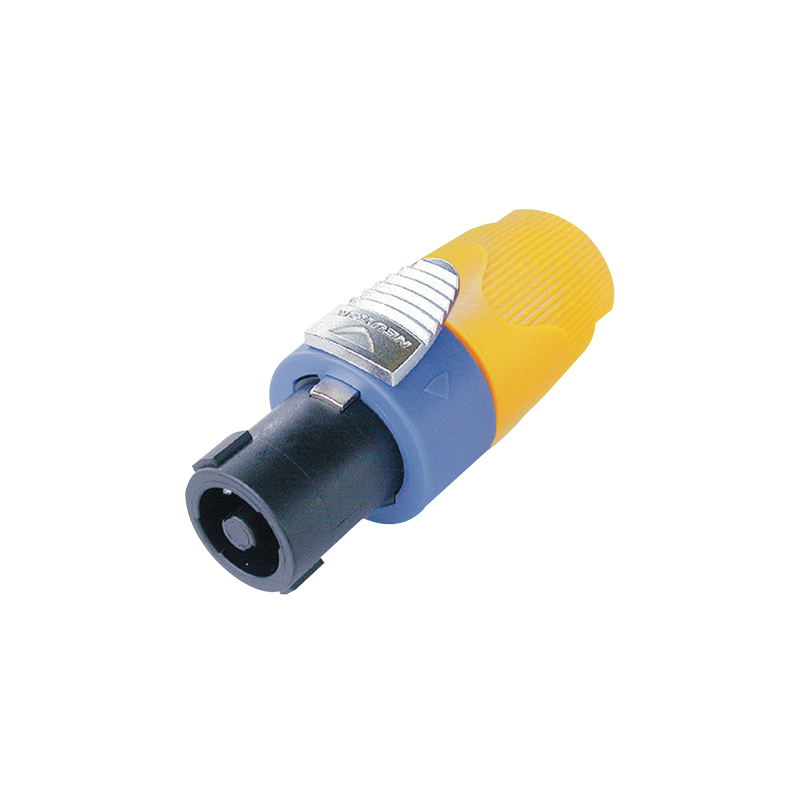 Industry-standard connectors designed to operate in high current, inductive load environment of loudspeaker/amplifier connections. 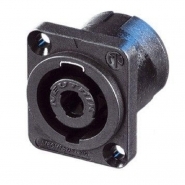 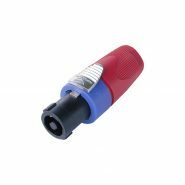 The cable connectors feature the traditional Neutrik chuck type cable clamp, a unique locking principle and touch proof contacts. 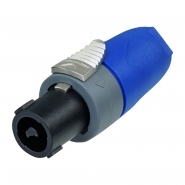 - Easy and extremely precise locking system "Quick Lock"
- 1 piece strain relief, chuck for 7 to 14.5mm cable O.D. 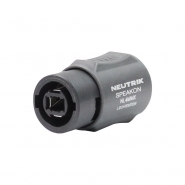 - Integrated design guarantees "Made by Neutrik"